Like a living slick of oil. Reef snorkelling on the Great Barrier Reef, where protection from the sun might be damaging the marine life. This science poem is inspired by recent research which has found that chemicals in sunscreen might contribute towards the decline of coral reefs. Although sunscreen is critical for preventing sunburns and skin cancer, some of its ingredients are harmful to ocean-dwelling creatures, including coral, yet every year up to 14,000 tons of sunscreen end up in the world’s oceans. Two chemicals that are used in sunscreen (oxybenzone and octinoxate), and which are well known to harm coral, have now been banned by certain countries, but other ingredients are likely also to be having a detrimental effect. This new research has focussed on the effect of octocrylene (OC), another of the chemical substances that are widely found in sunscreens. 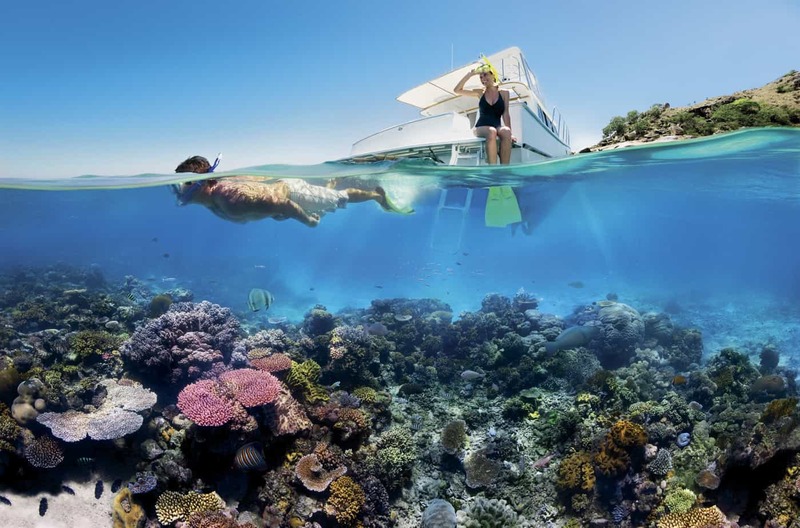 By exposing coral to OC at various concentrations the researchers have found that the coral is sensitive to the compound at concentrations that exceed 50 micrograms of OC per litre of sea water. This research has also found that because of the way that corals react with OC (converting it into fatty acids), current estimates for the concentration levels of OC in our oceans might have been severely underestimated. Are there alternative sunscreens available that might be less damaging to the coral?